Julie Marler and David Phillips bring depth of experience and knowledge to every project. Julie Marler is Landscape Principal at Phillips Marler with over 20 years of experience on a range of local and state government landscape projects. Julie also has a Masters of Heritage Conservation. She has considerable experience in landscape heritage conservation planning and interpretation. Julie has a reputation for delivering subtle and restrained ideas into sites of special value. 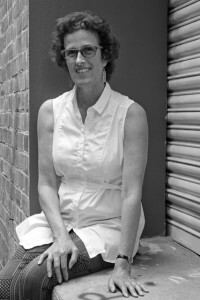 Julie has lent her expertise to many professional panels including: Sutherland Shire Council Architectural Review Advisor Panel 2005-2012, AILA National Council 2013-2015 and was Jury Chair for the NSW AILA Awards in 2008 and 2015. Julie is currently a member of AILA’s National Education Committee and National Accreditation Review Team assessing landscape architecture courses around Australia. 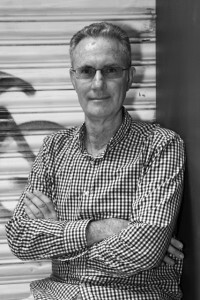 David Phillips, Architectural Principal at Phillips Marler has more than 30 years architectural experience. His expertise is in the design of small buildings and structures in sensitive landscape settings. Possessing a keen eye for detail, David has oversight of all technical documents. He uses his extensive knowledge of building materials and their application to create functional yet beautiful structures and buildings. He brings this skill and experience to every project. “I love architecture because it offers the challenge to create something new and fresh. The challenging part is going through a long and convoluted process; but the reward is the joy of the design; and being able to come up with something fresh and original on a restricted budget. Before starting Phillips Marler with his business partner Julie, David worked in a number of leading architectural offices in senior architect and associate positions.